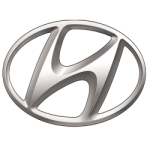 Hyundai is a South Korean car manufacturer that has really gained a place in the hearts of many UK drivers. When you lease a hyundai you will join many who love these reliable no nonsense cars. The practicality of the range can be seen in the i10 to the Santa Fe. At LittleGreenCar we've got some great Hyundai lease offers and if you can't see the Hyundai lease deeal you're looking for just sign up for early alerts.